It begins outside a burning plantation hut in Louisiana… and an East Texas honky-tonk… and, without a doubt, in the heart of God. It unfolds in a Hollywood hacienda… an upscale New York Gallery… a downtown dumpster… a Texas ranch. Gritty with pain and betrayal and brutality, it also shines with an unexpected, life-changing love. 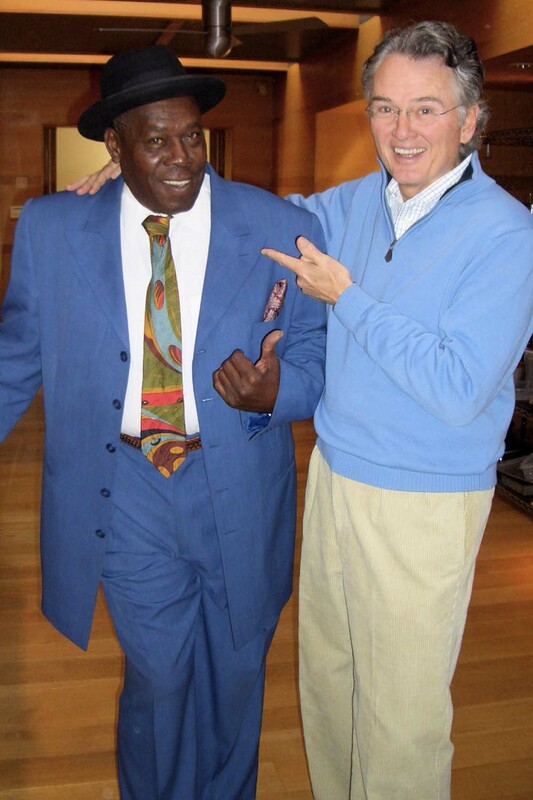 Ron Hall is an international art dealer whose long list of regular clients includes many celebrity personalities. He is the writer and producer of the Paramount Pictures film, Same Kind of Different As Me. An MBA graduate of Texas Christian University, he and his wife Beth divide their time between Dallas, New York, and their Brazos River ranch near Fort Worth. Invite Ron Hall to speak at your next event. When he shares his incredible true story, people are inspired to give generously. LEARN MORE HERE. Lynn Vincent is the New York Times best-selling writer of Heaven Is for Real and Same Kind of Different As Me. The author or coauthor of ten books, Lynn has sold 12 million copies since 2006. She worked for eleven years as a writer and editor at the national news biweekly WORLD magazine and is a U.S. Navy veteran. 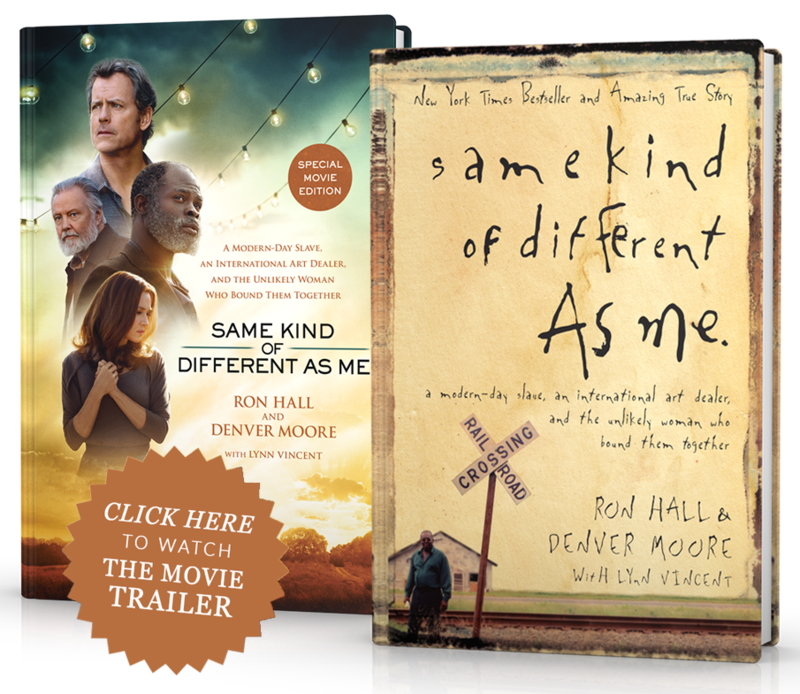 “Same Kind of Different As Me is a compelling story of tragedy, perseverance, triumph, dedication, faith, and the resilience of the human spirit. Ron and Denver, you truly are my heroes. This is a must read. “The most inspirational and emotionally gripping story of faith, fortitude, and friendship I have ever read. “This is truly a wonderful book. “It’s a rare opportunity for an actor to be blessed with a role so soulful.